"Thriller," starring Michael Jackson, will be the first music video to be included in the archives. Other 2009 inductees include "The Muppet Movie," "Dog Day Afternoon" and "Jezebel"
(CNN) -- Michael Jackson's "Thriller," with its unforgettable zombie graveyard dance, has become a national treasure. The 1983 music video directed by John Landis was one of 25 films inducted Wednesday for preservation in the National Film Registry of the Library of Congress. 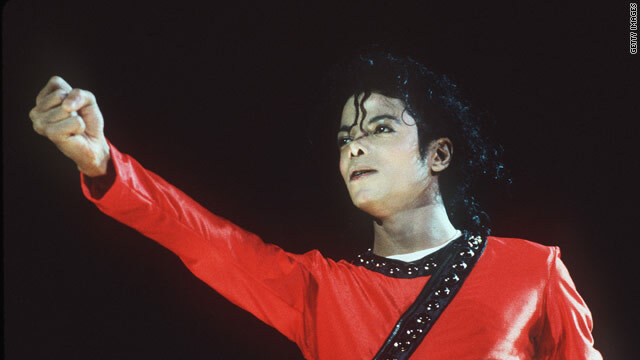 "Thriller" is the first music video in the archives. "I think it is a recognition of how much they changed the music industry in the '80s, and we thought it was important to represent that," said Stephen Leggett, the coordinator of the National Film Preservation Board. "We picked this one because it was most iconic from the era." The board advises the Library of Congress about selecting films for the registry and about national film preservation. Congress established the registry in 1989, and this year's selections bring the total number of films recognized to 525. Under the terms of the National Film Preservation Act, each year, the librarian of Congress, currently James H. Billington, names 25 films to the registry that are culturally, historically or aesthetically significant, to be preserved. The library then works to make sure that a copy of the film is at least preserved by a film, television or recording company, and then tries to obtain a copy to keep in the Library of Congress, where it is available for research purposes, Leggett said. Other 2009 inductees include 1979's "The Muppet Movie," which marked the first time Kermit the Frog and Miss Piggy appeared on the big screen together; director Sidney Lumet's "Dog Day Afternoon"; the Bette Davis classic "Jezebel"; and the science fiction thriller "The Incredible Shrinking Man." The oldest film inducted was "Little Nemo" from 1911, a mix of live action and animation adapted from Winsor McCay's comic strip "Little Nemo in Slumberland." The film, advanced for its time, was a major influence on later animators, including Walt Disney. For the complete list of films inducted into the National Film Registry this year, go to http://www.loc.gov/today/pr/2009/09-250.html.